Adult Dark-bellied Brent Goose at Fedje in western Norway, 10 October 2006. 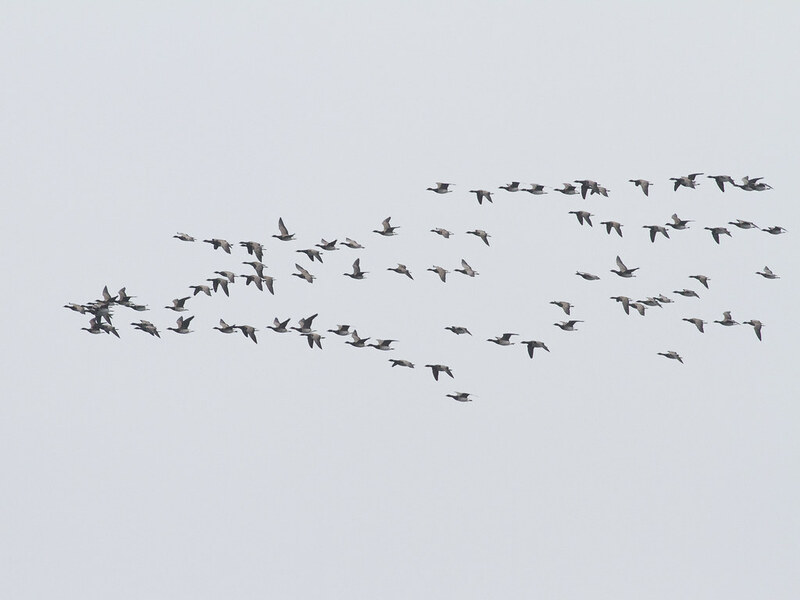 A small influx of this eastern subspecies (Branta bernicla bernicla) has been recorded in Norway this autumn. This bird, in company with eight others, was only the fifth county record. Pale-bellied Brants (Branta bernicla hrota) is the "common" subspecies to see in western Norway, but usually only migrating to and from the breeding grounds at Svalbard. Have a look at a migrating flock here.